Outdoor gas fires are becoming increasingly popular as people return from a holiday where they have seen them, usually the USA. 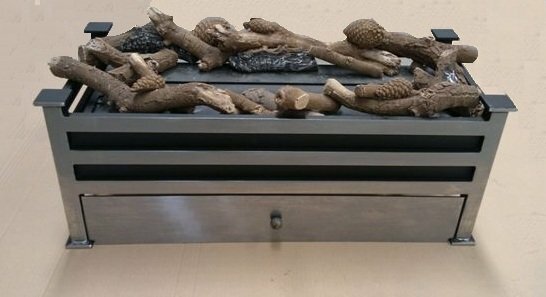 We have a range of outdoor gas fires and burners which can be used to construct a multitude of eyecatching outdoor fires. 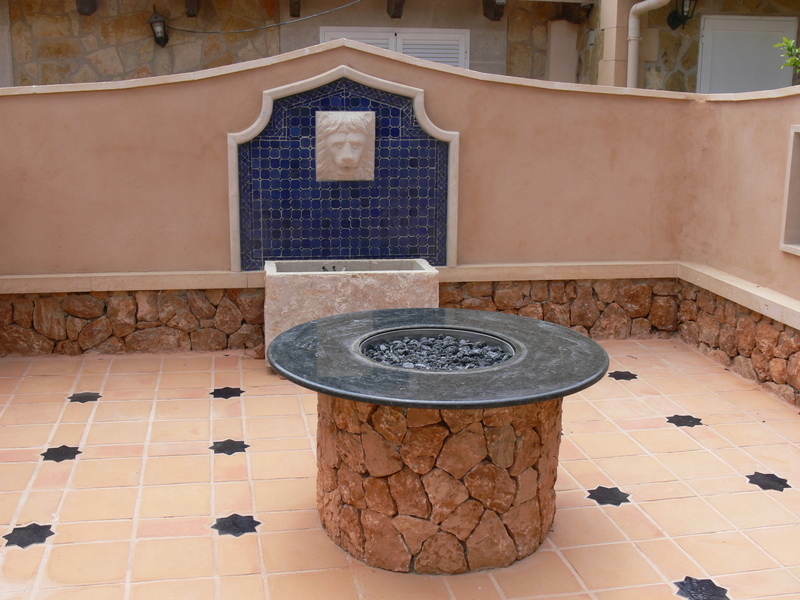 The examples shown below are just some of the designs that are possible using our outdoor gas fires. 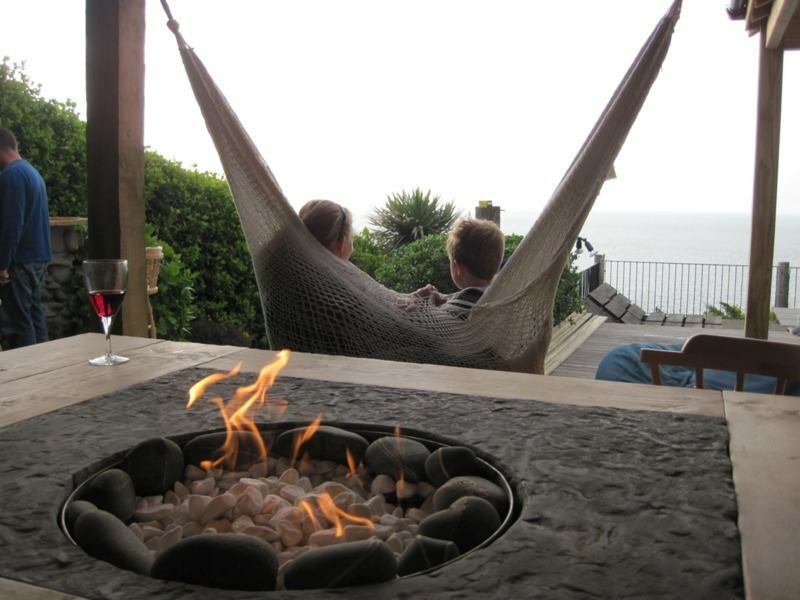 For a link to all our outdoor gas fires click here. Built into a slate and wood table, this client has done an amazing job and created a very inviting, cozy atmosphere. 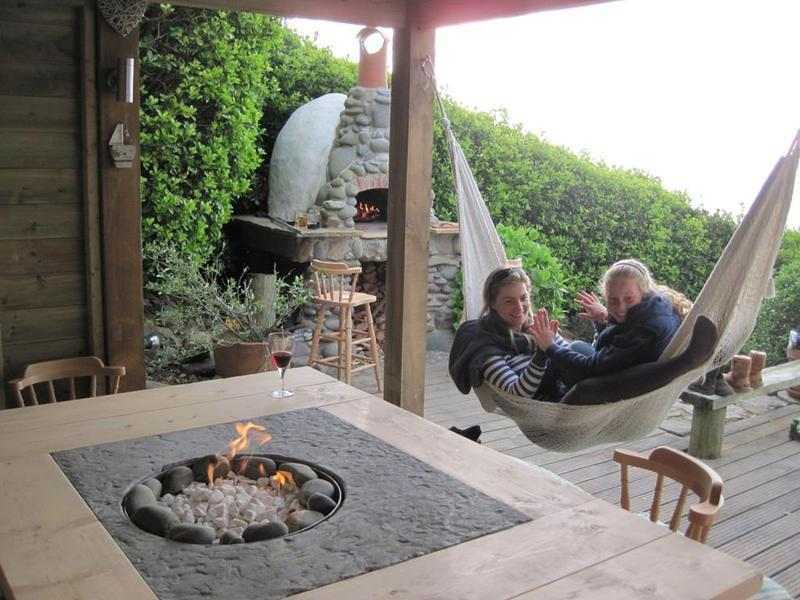 Coupled with the pizza oven and sea view, this looks an ideal place to retreat and unwind. 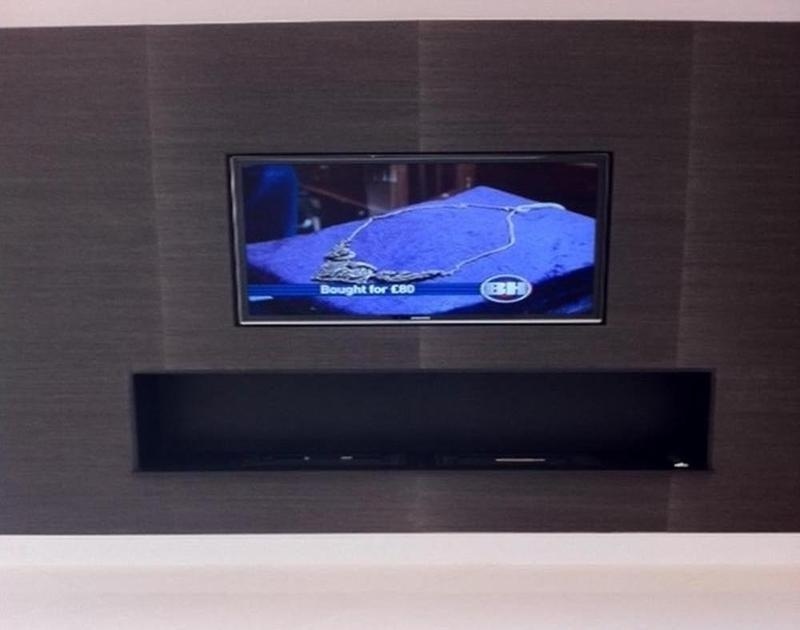 Mr Thompson wrote "We are really pleased with the setup and glad we came across your product to use on this project." We thank you for your kind comments and photo's and hope you have many hours of enjoyment from your fire. Your £10 M&S voucher is on it's way. Note that the white pebbles have no sooty deposits. The construction of our fire pit burner includes a preaeration chamber to mix plenty of air with the gas and ensure a very clean burn. Other tube based gas fire pit burners do not do this which will inevitablly lead to sooty deposits. 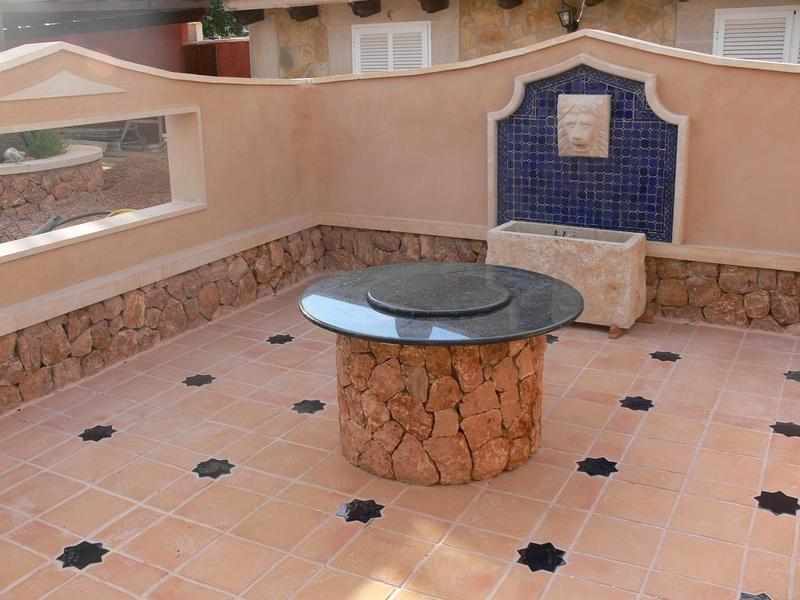 Below are shown pictures of our gas fire pit installed in a courrtyard in Mallorca. Thanks for the photos Gino. 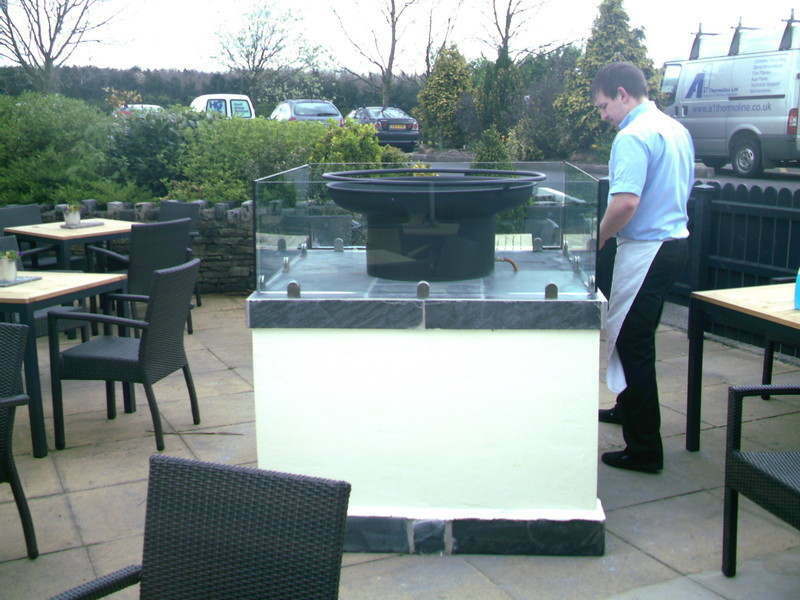 Working with an installer, Prestigious fires has supplied a number of outdoor gas fire pits over the last 8 months for use in high end dining pub. The lastest installation is shown in the 2 images below. 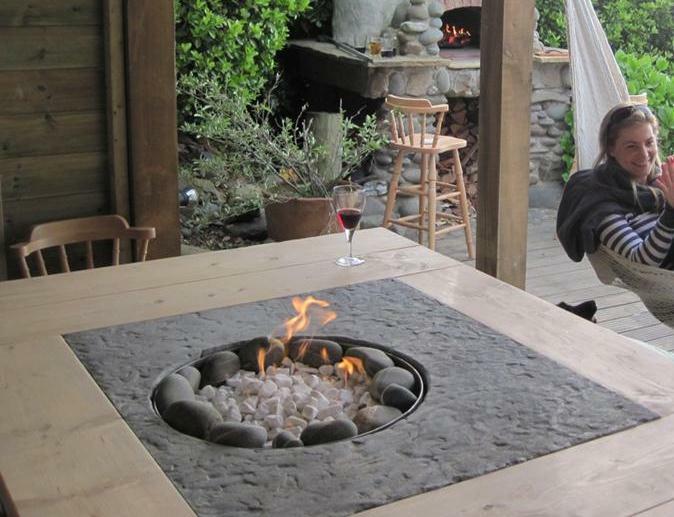 The fire pits are used to create ambiance and life and add to the dining experience. 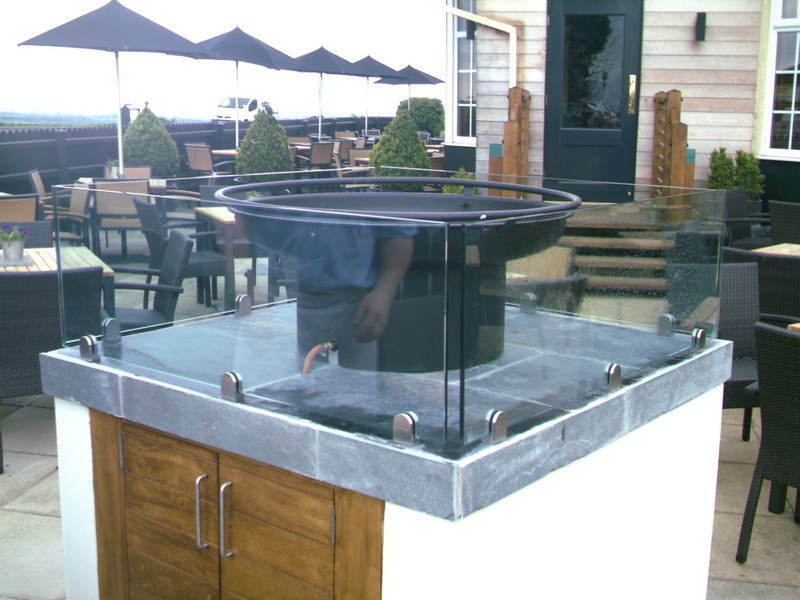 If you are looking for an outdoor gas fire for you premises please give us a call. 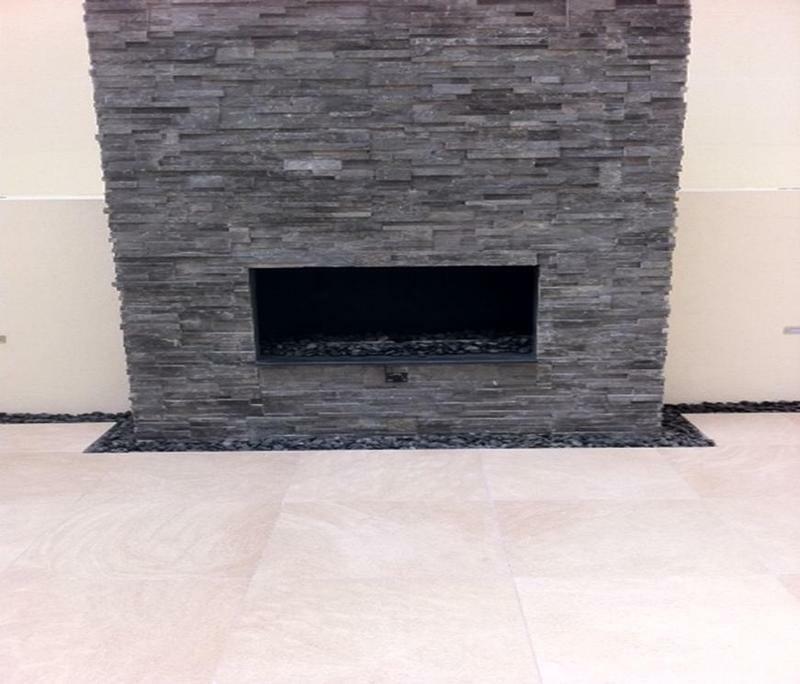 A development client was looking for an outdoor gas fire and an indoor ethanol fire. Prestigious fires supplied a 735mm outdoor gas burner and 2 large drop in burners to achieve the look shown below.